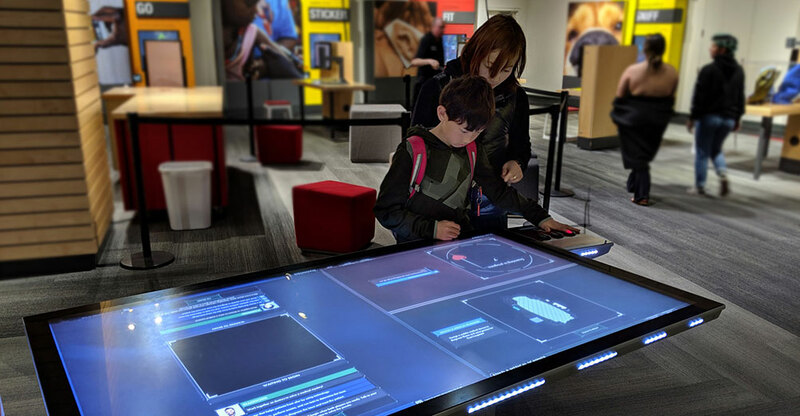 Ideum's multi-station exhibit on emerging medical technology is now at five US science centers. 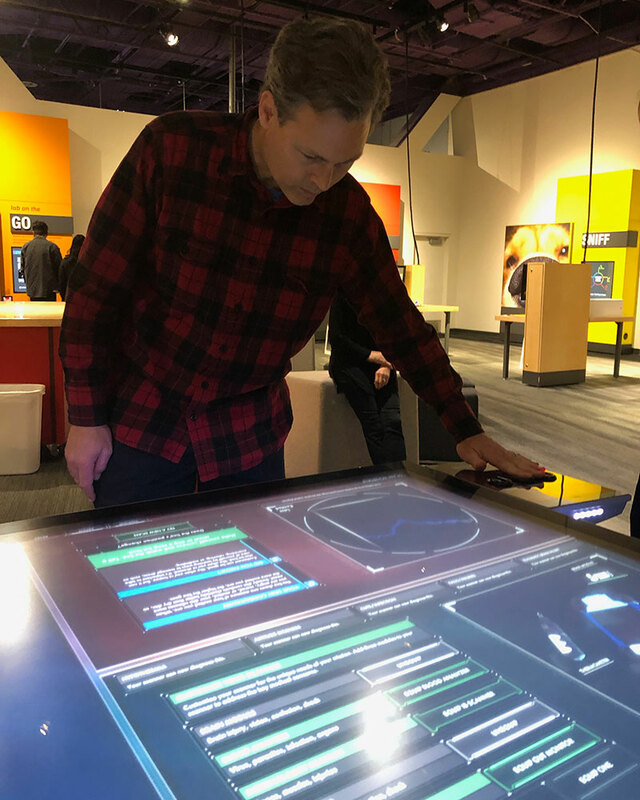 A team of researchers recently spent two days at San Jose's Tech Museum to observe and interview visitors using one of Ideum's most complex multitouch table experiences. 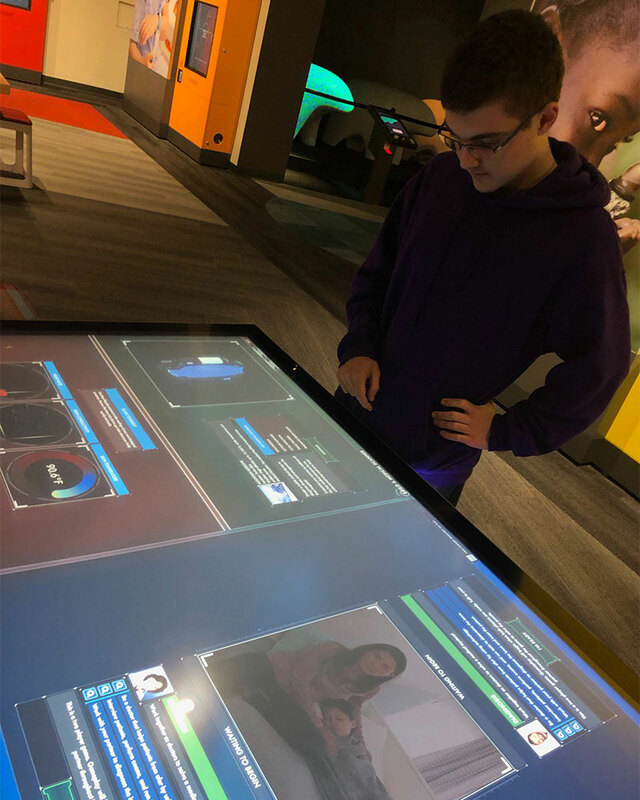 Running on a custom Ideum 65" Platform table, the exhibit's three modules let visitors explore new medical technologies in very different ways. Scan Yourself lets guests track their own heart rate, skin temperature, and skin conductance using simple fingertip sensors. 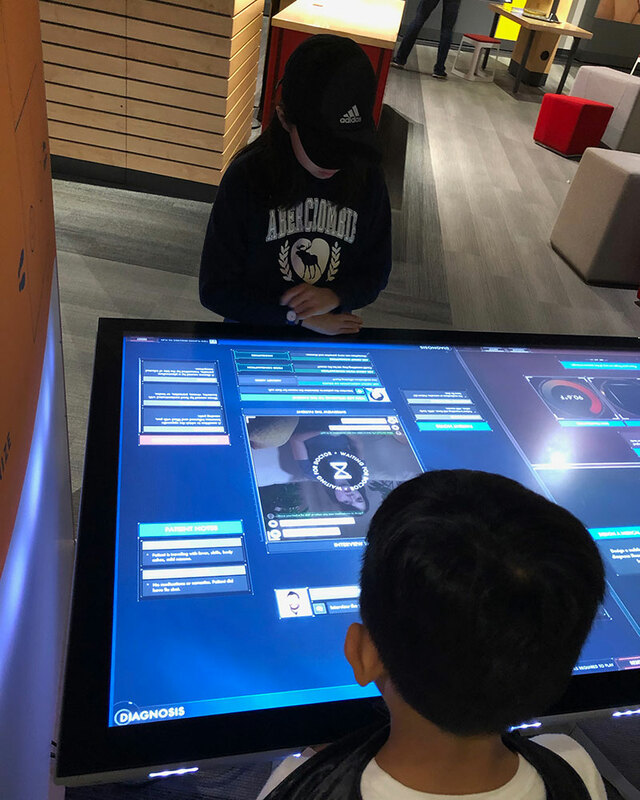 At Build a Medical Scanner, visitors are given specific health scenarios and design a device to meet the situation's specific diagnostic challenges. And Diagnosis puts two visitors in the role of collaborating doctors who must work together to solve a medical mystery and save a sick patient. 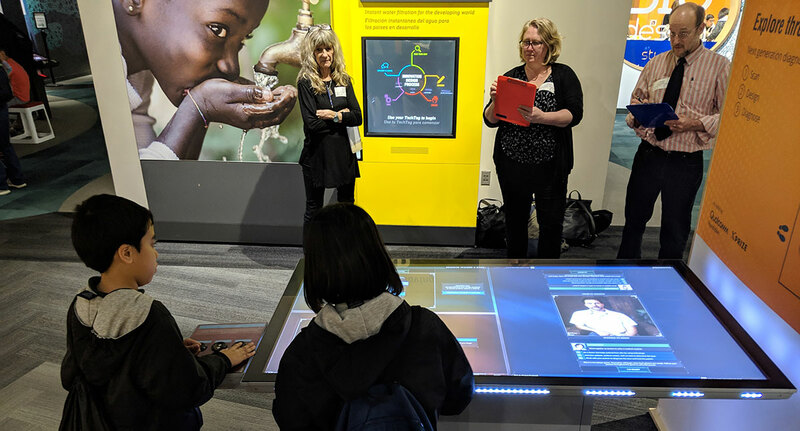 The exhibit was inspired by 2017's Qualcomm Tricorder XPRIZE competition in which teams developed ideas for portable medical devices like those used in the 1960s television series Star Trek. 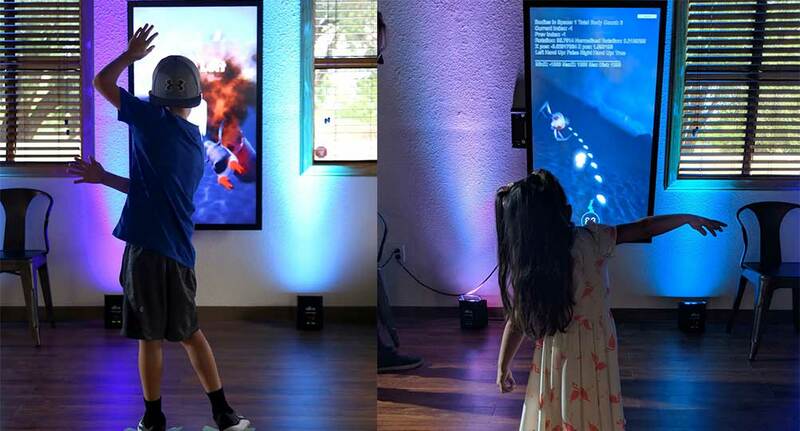 After the competition, XPRIZE selected Ideum to design and build a new interactive digital exhibit to shed light on emerging medical technologies and spark curiosity and social interaction among the youth who will form the next generation of technological innovators. The exhibit's high-tech focus is accented by the table’s unique custom hardware. 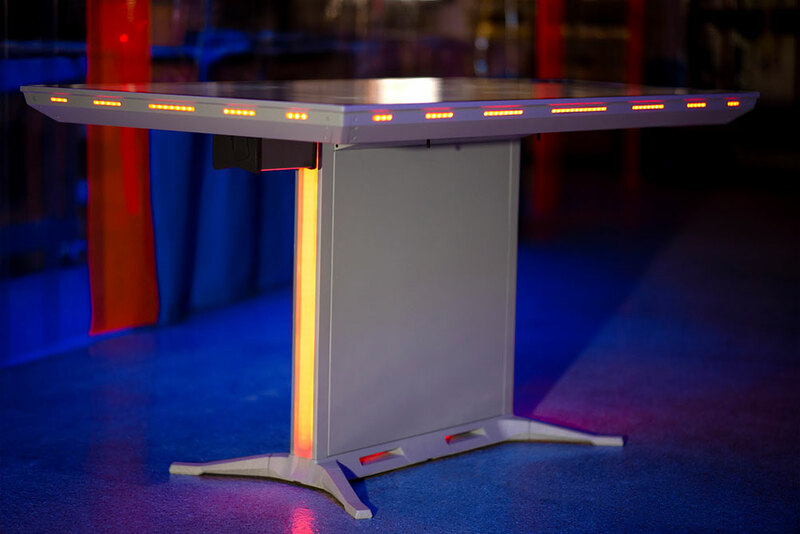 Ideum engineered a special panel containing the sensors and Arduino that comprise Scan Yourself, and the table’s casing and base contain LED strips with adjustable lighting, adding to the compelling allure of the table’s onscreen windows and readouts. 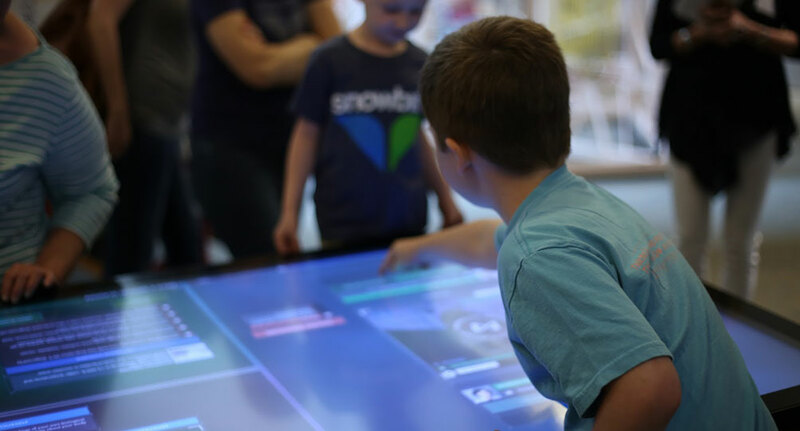 The exhibit is now being used by visitors at five influential U.S. science centers: Liberty Science Center in Jersey City, NJ; the Reuben H. Fleet Science Center in San Diego; the Oregon Museum of Science and Industry (OMSI) in Portland; Seattle’s Pacific Science Center; and, of course, The Tech Museum. As part of the project, XPRIZE is also supporting onsite user evaluation at several of those museums. Our research team is now conducting a cross-country mixed-methods assessment project, including observing how visitors navigate the interface and interact with others at the table and interviewing users about what they think and learn at the three modules. We'll also be downloading and analyzing metrics recorded automatically at each of the tables and comparing visitor experiences across venues. Ultimately, we'll share our findings in white papers and at conferences. Stay tuned to learn more! Young guests at The Tech Museum collaborate to diagnose a patient. A visitor ponders options for designing a medical scanner. A custom sensor module allows a guest to track biometric data.